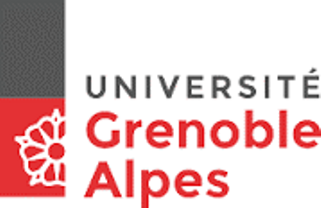 Université Grenoble Alpes (UGA) is located in Grenoble in the Rhône-Alpes region, which is the 2nd French region in terms of research activities. UGA is a public Higher Education Institution in the field of science, technology and healthcare. It is ranked in the TOP150 of the Shanghai rankings and in the TOP200 in the Times Higher Education ranking, among the five best-ranked French universities. It is one of the major actors that make the city of Grenoble an internationally recognized scientific center. As a research university in an international and high tech environment, UGA welcomes 17000 full time students, 2100 doctoral students, 1500 lecturers and researchers, and 1500 administrative and technical staff. UGA offers 10 Research and Innovation postgraduate programs and 90 doctoral specializations delivered by 14 doctoral schools. Its 50 research laboratories, active in four research clusters (chemistry, life and health science; mathematics and ICT; material science, engineering and environment; social and human sciences) are a driving force for innovation. UGA offers over 400 training courses, diplomas and preparatory courses for entrance exams in the fields of Science, Technology and Health; Humanities and Social Sciences (Geography) and Physical and Sport Activities (APS). The Department of Physical and Sport Activities (UFRAPS, “Unité de Formation et de Recherche en Activités Physiques et Sportives”) is one of the 7 Teaching and Research Departments and 4 schools and institutes of UGA. The UFRAPS includes more than 70 lecturers and researchers from 6 research laboratories. These labs are clustered into the federative structure “SEM” (Sports, Exercise, Motion) to share skills and resources and to strengthen multidisciplinary approaches. The UFRAPS offers initial and lifelong education at the Bachelors (undergraduate) and Master levels in the fields of Sports, Health and Society, especially in physical education, athletic performance, adapted physical activity and health, tourism and leisure activities. Among UGA’s existing cooperation agreements and mobility programs, the UFRAPS has signed specific agreements with universities in Italy and Chili (bilateral cooperation) and Québec (multilateral agreements), and benefits from several exchange programs with European countries (ERASMUS) and North American countries (CREPUQ, ORA, TASSEP). The school for advanced studies in education and teacher training (ESPE, “Ecole Supérieure du Professorat et de l'Education”) is one of the 4 UGA schools and institutes. It mainly trains students to get a school teaching position (or to be a senior education counselor). ESPE is also involved in the professional training of primary school teachers and in research for education. Particular assets of ESPE are its cross-disciplinary poles of e-learning (TIC used in training, teaching and research) and educational innovation (local network and support service). Among them, the UGA educational service (SUP, “Service Universitaire de Pédagogie”) has been created in 2008 in order to help professors with their teaching activities at the university. The SUP purpose is to offer advice, resources and training to foster innovation in the fields of education and of information and communication technology (ICT), for teaching in particular. SUP is among the most active and nationally recognized university structure in this specific area, and is a major actor at local and national levels (networks, councils), UGA relied upon the SUP competencies to apply for another strategic partnership project this year. It is then a perfectly suited (support) structure to help create and follow-up the webinars. UGA extensive experience in managing European programs (Erasmus, FP, etc.) has been consolidated for over 25 years with the support of its Education and Research project teams. These project groups have managed the UGA participation in several European programs these past 5 years (5 Erasmus programs, over 10 FP7 program, etc.). The policy of the UGA is to actively support the internationalization of both education and research. From the scientific context to daily life, UGA provides a high quality welcome package to international students, and is available to help young scientists and researchers as well. These services (accommodation, visa, insurance, everyday life, etc.) are provided by the International Students and Scholars Office (ISSO) throughout the stay. At the local level, they will facilitate the administrative procedures with the directors of the high-schools in order to urge involvement of the PE teachers and students of these high-schools. At the national level, they will communicate with the “General Inspectors of Physical Education” regarding the implementation of the project. General Inspectors of Physical Education mission is to develop French PE curriculum. They are very sensitive to the health education and more particularly to the contribution of PE to PA promotion. They have been informed and support the research activities that will be implemented in this project.